WOW WOW WOW is all I can say about Rapid Drug Detox. In my entire life I have never seen people in the medical field like them. I’ll admit the first 10 to 12 hours after the procedure were tough, but by midnight the day of I didn’t even feel like it was the first day of sobriety. Rather than the ten plus weeks of withdrawal symptoms from going cold turkey or turning to methadone, here you feel fine after about a day and a half. Please do not go to the methadone clinics. 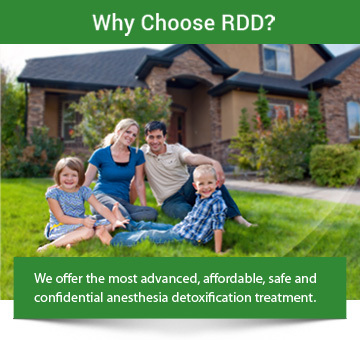 Come to Rapid Drug Detox. They will help you instead of trading a pretty bad habit for a terrible habit with methadone.